The Federal Retirement Thrift Investment Board emphasized Monday that the Thrift Savings Plan’s Roth option is an ongoing endeavor; fully verifying that all Roth transactions are working correctly will take years. Roth program manager Karen Vaughn told board members at a monthly meeting the plan was in a post-deployment phase of implementation. Four federal employees have seen their Roth contributions reflected in their paychecks already this month. More are expected to see their contributions after the next pay period, at the end of May, and the TSP board then will have better, more updated numbers of current participants. “[Opting in] really is a very personal decision, and we’re not sure how it’s going to take in the federal employee community,” said Kim Weaver, the board’s external affairs director. About three-fifths of federal employees have been unable to enroll since the option became available May 7. The Federal Retirement Thrift Investment Board was ready to enroll employees at that time, but payroll systems at many agencies were unprepared for the shift. The Roth option will be available to Marine Corps members in June; to Defense and Veterans Affairs department civilians in July; and to Army, Navy and Air Force service members by October, according to the Defense Finance and Accounting Service, which has cited complicated pay systems as the reason for the delay. Vaughn said she expects more data on enrollments will become available next month. She emphasized that although some performance data is already available, it will take some time before participants exercise all of their possible options to use their Roth money and that the TSP will have to continue to monitor the programming to make sure it works in all situations. In order to withdraw Roth earnings tax-free, employees typically must be 59 and a half years of age or older, with some exceptions. 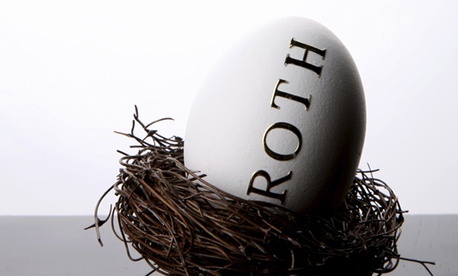 The Roth option is similar to a private sector Roth IRA, where employees can invest money that already has been taxed and avoid being hit again when they retire and begin withdrawing money, but there are no income limits for the federal plan. Employees’ total annual TSP contributions must remain within Internal Revenue Service limits. The IRS increased the cap on individual retirement contributions in 2012 to $17,000 from $16,500, due to a change in the cost-of-living index. Employees 50 and older can contribute an additional $5,500. Overall April participation numbers in the TSP remained steady, at 86.4 percent of Federal Employees Retirement System workers, 40 percent of active duty service members and 15 percent of ready reserves taking part.